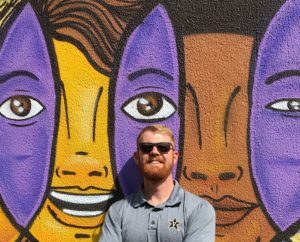 Posted by Kaila Brown on Thursday, September 20, 2018 in General Information, Vanderbilt Travel. 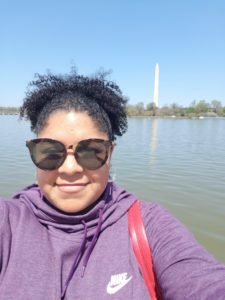 My colleague Kishia Hill, on a visit to Washington D.C.
It’s the beginning of fall and the beginning of another application cycle, which means one thing for admissions officers — travel season is here! 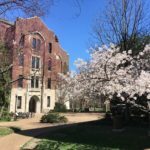 Here at Vanderbilt, our main travel season occurs during September and October as we travel across the country and the world to meet and engage with high school students on their turf. For a number of my colleagues, this is their favorite part of the year as we have the opportunity to meet students where they are, to engage with students who may not have had the chance to come to campus, and to explore old and new areas! While it is an exciting time for us, we understand that meeting admissions officers from various colleges and universities can be overwhelming. I hope the following tips and tricks ease any anxiety that you may have, and help you get the most out of our visits to you. Know who’s coming. Here’s a fact: you miss 100% of the shots you don’t take. Likewise, you can’t make the most of an admissions officer’s visit if you don’t attend. To stay informed, watch for posters at your school, check your email for announcements, and, if your school uses a college readiness service like Naviance, pay attention there as well. 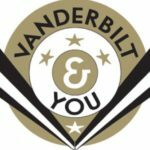 For many schools, like Vanderbilt, you can stay informed about upcoming visits by joining a mailing list. Understand the type of college admissions event that you are attending. As admissions officers, we coordinate and attend a number of different events when we visit your hometown. 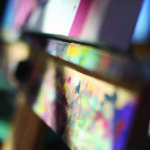 The type of event may determine the level of personal engagement that you will be able to have with us. Will this be a college fair? A presentation? If so, how many students will be attending? Is this a general panel about admissions with other universities? Is this a drop-in meeting at the local coffee shop? When you know what kind of event you are attending, you can set your expectations and prepare. Pre-register if necessary. Some events will require you to pre-register. Not only does this ensure you’re able to attend, but it can also save you from having to fill out forms upon arrival! Prepare your info. 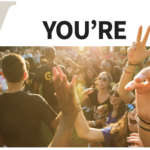 At some events, you will want to be able to share your info with the admissions officer. You can save time by preparing sticky labels with your name, date of birth, email address, high school name, and graduation year. If you’re not able to print a sticky label, print your info on a piece of paper. Do some research. There are over 4,000 colleges and universities across the United States, and they are all special in their own way! Before some events, it might be appropriate to do some research in order to make sure that you are maximizing your time with the admissions representative. If you are attending an event where you’ll be able to talk to the officer only for a couple of minutes, such as a college fair, it’s important to know what you want to ask. One approach is to develop your Big Three Questions. What are the three questions that you want answered or the big topics you want to make sure to learn about at this event? This can be very specific or also very broad, depending on where you are in the college search process. You may have specific questions about an academic program or general questions about student life. 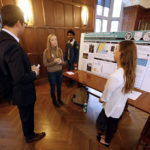 In the case of a presentation by an admissions officer, you may want to make sure you hear information on housing, safety on campus, and merit scholarships, for example. It doesn’t have to be three questions – this is just one way to organize your thoughts so you have a plan going into an event. John Nesbitt, checking out scenes in Brazil! Remember, you don’t have to attend every event! We may be in your area several times during the fall, and we aren’t expecting to see you at every event. We make repeat visits to the same area in order to make sure interested students have an opportunity to meet with us. We know you’re busy, and you don’t need to feel obligated to attend an event, especially if we’ve already answered your questions. Finally, take a breath and enjoy the process. We know that navigating these meetings can be stressful at times. I’ll let you in on a little secret: sometimes admissions officers get nervous before events too. Whether it’s speaking in front of 500 people or going to a high school for the first time, there can be anxiety on our side of the process as well. We’re in this together – take a breath and enjoy the journey! Our job is to help you have a better understanding of our school and the admissions process, and no matter the event, we hope you leave with that. We hope to see you this fall as we travel around the country and the world. Bring your questions, and we will do our best to answer them and help you find your fit in the college admissions process!